Is This Josh Bailey's Coming Out Party? Is This Josh Bailey’s Coming Out Party? Josh Bailey has been a surprising story for the New York Islanders lately, with 7 points in his last 5 games during a hot streak and a recent promotion to the top line. Prior to this, it’s safe to say the majority of Islanders fans were starting to feel that the 25-year-old former first round draft selection wasn’t ever going to develop into what he was originally expected to be. But this hot streak has somehow convinced everyone to forget about the fact that Bailey is in his seventh NHL season and has never reached the 40 point mark. Though, shockingly, only three players selected after Bailey in 2008 have scored more points, it’s worth noting that Bailey has played in over 100 more games than two of them (Jordan Eberle and Derek Stepan) and 81 more games than Erik Karlsson (the third). Tyler Ennis, selected 26th, is just 7 points behind Bailey with 127 less games under his belt. Other 2008 forwards like Cam Atkinson and Adam Henrique are scoring at a better pace than Bailey in far less games, and have been more valuable to their teams. While I’m not exactly using this as a platform to insult the selection of Josh Bailey in a defense-heavy 2008 draft, the lack of offensive production from Bailey on a team whose defense has been terrible for years until very recently isn’t a great look when considering how many quality defensemen were drafted after him. 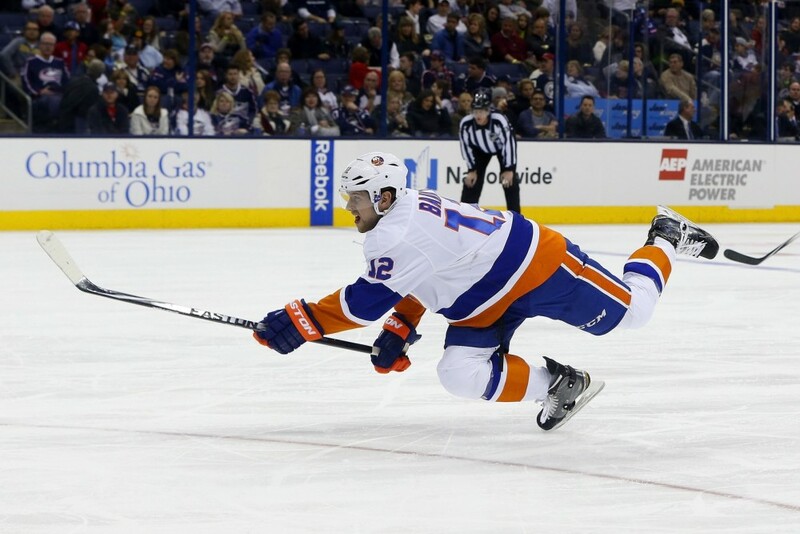 But that’s besides the point, because right now Josh Bailey is a hot player. Hard to argue with those 7 points in 5 games, isn’t it? Of skaters not named Tavares or Okposo, no Islander has a higher percentage of faceoffs in the offensive zone or lower percentage of faceoffs in the defensive zone. While Tavares and Okposo are two members of a top line employed to score, Bailey obviously was not until Okposo’s injury. What this means is that Josh Bailey has been fairly productive (22 points in 35 games) while being given the sheltered minutes usually reserved for rookies and new additions. For comparison, second year forward Ryan Strome, who takes 33.9% of his faceoffs in the defensive zone compared to Bailey’s meager 25.7%, has 34 points in 47 games. The 21-year-old Strome is scoring at a pace of .72 points per game, while Bailey is managing .63 points per game. The points are coming in spite of below-average possession numbers. For the season, the only Islanders forwards with a lower Corsi-for percentage are Matt Martin, Cal Clutterbuck, Casey Cizikas, and Brock Nelson. Again–while Bailey is clearly producing and fitting in nicely (for the time being) on the top line, it seems more likely than not that he’ll regress to the mean. Maybe playing sheltered minutes with John Tavares will make Josh Bailey look great for the next few weeks, but he’s certainly not a permanent answer in the top six. 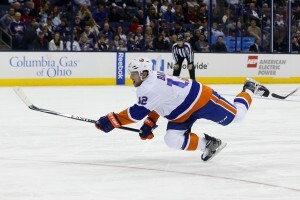 I’ve outlined previously why the Islanders should at least consider bringing in one more winger, but unfortunately for the time being it seems they’re content with giving the spot to Bailey.